‘The Last Jedi’ Has Subtle Easter Eggs To The Original Trilogy: Did You Spot Them All? Star Wars: The Last Jedi has now been out for almost a month now. While this film is doing very well financially, it certainly has its divisive fan base. Though many fans despised George Lucas’s prequels (I’m definitely not one of them), The Last Jedi is making its money and will be yet another Star Wars film that has become financially successful. There were a ton of complaints regarding The Force Awakens in that there were to many similarities to the original trilogy. Most of these similarities stemmed from A New Hope such as another planet (Tatooine-Jakku), a droid that’s assigned a secretive mission to deliver a crucial message (R2-D2-BB-8), and still another Death Star (Starkiller Base). Nevertheless, The Force Awakens was still a massive hit with audiences and brought Star Wars back into theaters. You may be surprised to find that Rian Johnson’s The Last Jedi also had similarities to the original trilogy. While many fans were relieved to find that this movie was not simply a retread of The Empire Strikes Back, there were however some elements that fans may or may not have noticed dating back to Episodes IV, V and VI. In no particular order, here are some of the comparisons I noticed. The first one on my list takes place mere minutes during the opening scene of The Last Jedi. Audiences witness Poe Dameron boldly flying his custom T-70 X-Wing fighter alone straight into First Order territory. Though this scene appeared to be more of an aberration, what fans may not have realized is that this scene may have been a nod to a specific fallen pilot named Dak Ralter from The Empire Strikes Back. Poe Dameron is successful as he did take on the First Order alone if only for a brief few minutes to allow more time for the Resistance to evacuate from D’Qar. Like Anakin Skywalker, Ben has the piloting skills of his grandfather. Ren’s TIE Silencer is a customized TIE Fighter much like Darth Vader’s TIE Advanced. This ship maneuvers at a quick pace but its Ren’s use of the Force that enables him to accurately hit his targets. The scene where Kylo Ren goes after General Leia’s ship The Raddus, is similar to when Vader goes after the Rebels in A New Hope. Both films show the antagonist protected by two TIE Fighters who accompany them in their mission. Unlike Vader, Ren exits the space battle unscathed and takes his ship back to base. Here is yet another subtle moment that may have been easily overlooked by fans. 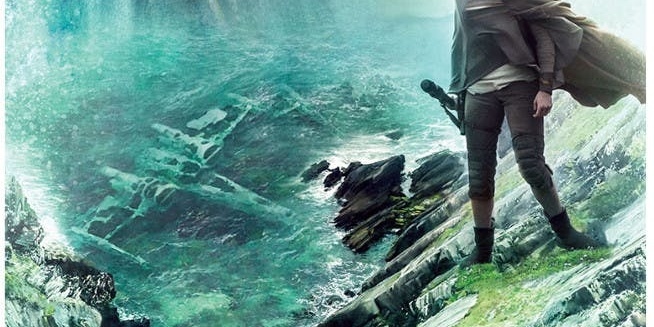 As Rey is walking around the island of Ahch-To trying to convince Luke to train her, audiences get a quick glimpse at Luke’s sunken X-Wing fighter. The X-Wing can be seen underwater much like what happened when he crash landed on Dagobah for the first time in The Empire Strikes Back. This quick moment made me think that maybe just maybe we will get to see Luke lift his X-Wing out of the water as Yoda did for him. Even though this didn’t happen, it was still a cool way to show fans how Luke got there in the first place. This scene was much easier to identify than some of the others on this list. 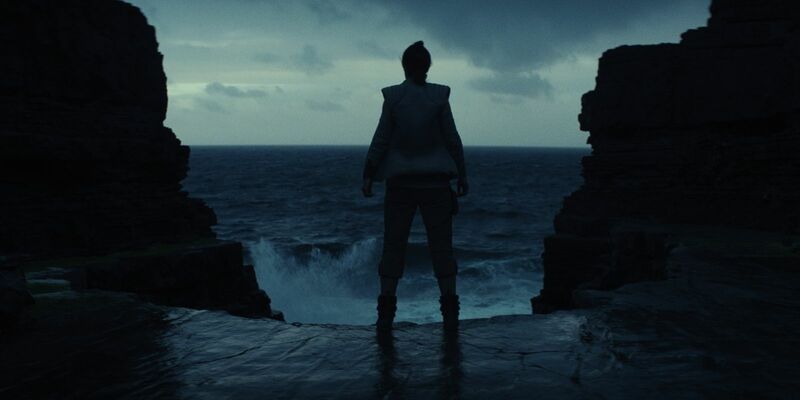 As Rey is training on Ahch-To, she is briefly pulled into the Dark Side while exploring the deepest depths of the island. This “vision” that she gets pulled into teachers her to let go of her past life. She wanted to truly find out who her real parents are but eventually learns that she really is only a nobody as Kylo later explains to her. The scene is reminiscent to the scene on Dagobah with Luke going into the dark cave where he learns that he is somehow a part of Darth Vader. The scene also dips into the Dark Side much like Ahch-To’s cave scene with Rey. Here’s yet another comparison that fans have easily made while watching this film. Not only did audiences try to compare Snoke to the evil Emperor, but both of these villains have their own thrown room complete with their own guardians (Palpatine with his Imperial Guards and Snoke with his Praetorian Guards). The scene where Rey is taken aboard Snoke’s ship is definitely evocative of Luke being brought to the Death Star by Darth Vader. There’s even a scene in this movie where Snoke shows Rey how helpless the Resistance is much like Palpatine showed Luke how the Rebels were faring against the Empire’s forces. Not only were we introduced to a few new weapons of the First Order, but we were also once again treated to one of the Empire’s most powerful ground assault weapons ever constructed; the AT-AT. Arguably the greatest land battle scene in all of the the Star Wars movies, the Battle on Hoth showed us the destructive force that is the All-Terrain Armored-Transports. Though they are taken a step back for the newly improved model of the AT-M6’s, the AT-AT’s however still make a few brief appearances on the Battle of Crait. It’s a nice nod for those who enjoyed The Empire Strikes Back opening sequence. Throughout the films, Luke Skywalker changed his appearance multiple times. But none have stood out more so than the black cloak and costume he wore in Return of the Jedi. As Luke projected himself to appear just as Kylo last saw him, fans got to see Luke wear this famous costume one last time. It’s a nice nod to the fans of the original trilogy but it also foreshadowed the dark path that lay ahead as he foresaw the evil growing inside of Kylo Ren. We all know by now that Luke was not technically there on the planet Crait when he faced off against Kylo. However, the way he allowed himself to die is equivalent to what Obi-Wan did against Vader on the Death Star. Obi-Wan knew it was going to be a losing battle against Vader but he chose to do so to allow his friends to escape the Death Star. It was ultimately a distraction much like Luke’s projected image of himself was against Kylo. Nothing could have been more poetic than Luke’s final moments on Ahch-To. As his force projection comes to an end, so does his own life. The final scene with Luke shows him exhausted having used all his Force energy to allow the Resistance to safely escape. The last thing Luke sees before passing away on the island is him staring up into the sky viewing the Twin Suns as he once did on his home planet of Tatooine. It’s certainly a beautiful and tear-jerking moment as he was a ‘new hope’ for the galaxy. Luke contemplated his decision on Tatooine while looking at the Twin Suns, but that very moment changed his life forever. 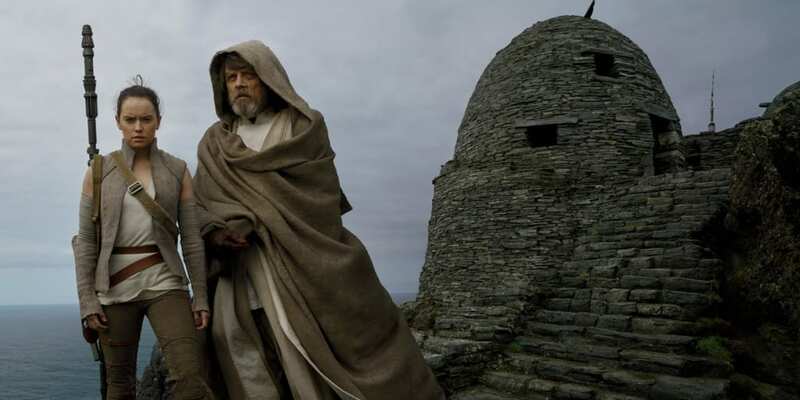 Luke once again gazes upon the gorgeous horizon on Ahch-To and dies peacefully with a purpose. Skywalker knows his time as a living being has come to an end but his abilities to become a Force ghost is just beginning. So that’s my list! Do you agree or disagree with some of my choices? Which nods did I miss from the original trilogy? Go ahead and share your thoughts below!